MOSCOW, March 5. /TASS/. Russian President Vladimir Putin has said that Russia has been quite successful in its efforts to match the status of a major weapons exporter. In 2017 the export of Russian military hardware went up for a third year running to above $15 billion. "Russia matches high standards and confirms its status of one of the leading providers on the world weapons market," he said at a meeting of the commission on military-technical cooperation. "The export of military hardware has grown for a third year in a row to more than $15 billion." Putin also declared that the value of weapons export contracts signed last year doubled to $16 billion. "The scope of our military-technical cooperation keeps growing in geographic terms steadily. The number of partners has already exceeded one hundred countries," Putin said. "At the end of last year the amount of contracts signed nearly doubled to $16 billion, which took the overall value of orders for Russian weapons and equipment received to more than $45 billion," the president said. 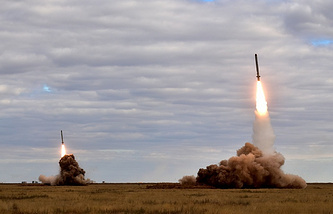 "This means that Russia’s military-industrial complex has enough orders for the supply of cutting-edge and next-generation defense systems for several years to come," Putin said. He said the experience of present-day wars and conflicts proves that ignoring means to protect the state sovereignty and security of people is inadmissible. "Russia will be actively developing military-technical cooperation with all interested countries, including in most high-tech segments - on those armaments for aviation, air defense, land troops and the Navy that have demonstrated their utmost efficiency during the Syrian operation," Putin said. The president thanked the leadership and staff of the defense enterprises and all those who work in the sector of military-technical cooperation, for the achieved results. "This success is especially dear amid tough non-market conditions in which the Russian enterprises have to work," the president said. Third countries are exerting ‘unprecedented and unconcealed’ pressure on Russia’s partners in military-technical cooperation to remove Russia as a rival and undermine the defense capability of its partners, Putin said. 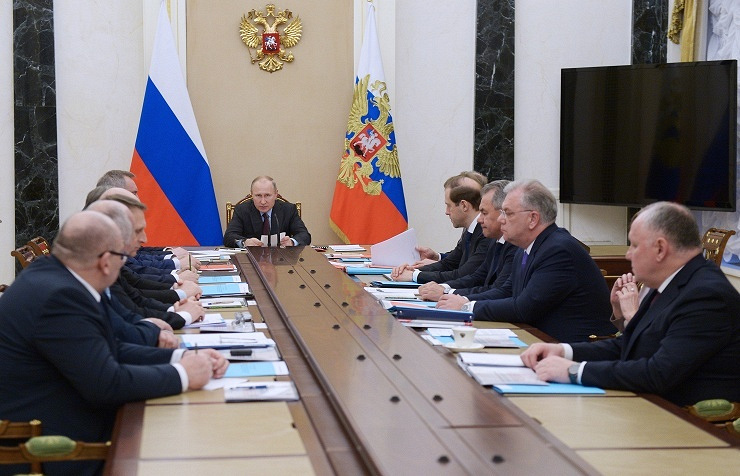 "It is no secret that unprecedented and unconcealed pressure is being exerted on the states, which want to cooperate with Russia in the military-technical sphere, the Russian leader said at a meeting of the Commission for Military and Technical Cooperation. "Its aim is not only to remove a rival on the global arms market but also to undermine the defense capability of some states and increase their lagging behind in the military sphere," Putin said. "The skill to work effectively even amid political provocations and economic subversive acts underlines the strong points of the domestic system of military and technical cooperation, its sustainability and huge potential," the Russian leader stressed. This assessment is given both by buyers themselves and prospective customers of Russian armaments and military hardware, Putin added.